Biblically grounded and psychologically informed, Mending the Soul is a first-of-its-kind, comprehensive approach to understanding and treating every form of abuse for: Pastoral and ministry staff Small group leaders and youth workers Educators and seminary students Pastoral and clinical counselorsIt's time for the church to recognize the epidemic scale of abuse. Abuse kills. In its different forms-physical, sexual, verbal, spiritual, or neglectful-abuse deadens the emotions, slays self-worth, cripples the mind, even destroys the body.Its victims are legion.They live in your neighborhood, play with your children, and attend your church. In the United States one in three women will be physically assaulted by an intimate partner. around 1.5 million children are abused or neglected annually. at least twenty-five percent of girls experience contact sexual abuse.But there is hope. God delights in mending shattered souls. However, healing doesn't come by ignoring the problem of abuse, minimizing its complexities, or downplaying its devastating impact. 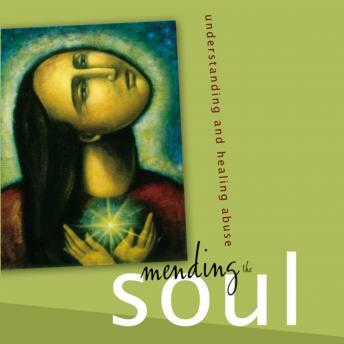 Healing comes by fully understanding the nature and ramifications of abuse, and by following a biblical path of restoration that allows God's grace to touch the heart's deep wounds.Mending the Soul sounds the call and leads the charge. Thorough and accessible, here at last is a unique and powerful resource for understanding and healing victims of abuse.